In Visma Global you will find a standardized ERP system with logistics-, project-, order-, invoicing- and accounting funcitonality. 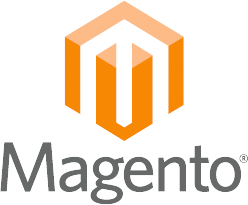 Magento is one the worlds most popular open source webshop systems. The integration between Visma Global and Magento is delivered as an IaaS (Integration as a Service), cloud based service. It is possible to integrate customers and discounts from Visma Global to Magento. Contact us a talk about your specific needs. Contact us for a talk about how you can get started with your Visma Global Magento webshop integration.